TomCRUZE has contributed to 12 posts out of 468602 total posts (0.00%) in 1,044 days (.01 posts per day). I do agree about the sentiments of the grenades. I found out very early on that I had to play extremely conservative as I'd keep getting killed with grenades..
Also agree about the Hunter guns... Found that the orange one was risky to use because it requires constant accuracy and along with the charge up time, it makes you very vulnerable. Really felt like PoA could have used a Maw type vehicle section... Not a timer scenario... Just some vehicle areas that mirror the sections driven in the Maw. You wouldn't come up against any covenant vehicles, but it would be a good change of pace.... Overall PoA was solid I thought. 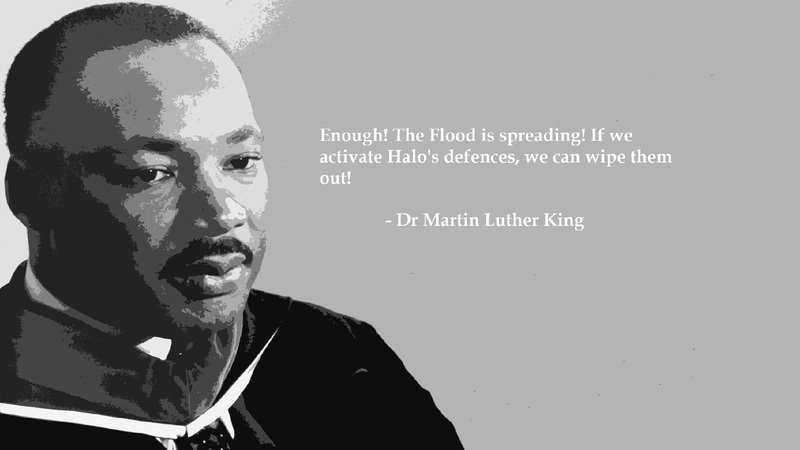 The new sections in Halo were solid too. Can't complain about much there, except for my system's obvious struggle playing through the Alpha Base big battle. Loadouts made Truth and Rec pretty fun. The wraith at the gravity well was an interesting addition... Was it the right decision? I'm not sure. It felt well paced and in tune with the waves of enemies coming down the gravity lift... And the couple banshees escalated that intensity well, but not to the point of it being broken. But I'm not sure if it was necessary... A rather trapped space for a large vehicle like that. But it did provide a different experience no doubt... The rest of the mission was pretty much the same level design, but the new weapons/enemies/etc changed it up a bit. Truth and Rec was pretty solid, pretty much the same as the original. But boy... That Evolved version. First time I've played it, and boy was I impressed. Simply just an amazing experience, fantastic level design... Had me on the edge of my seat in so many areas. It was crazy, following the path but I didn't know where the hell I was going... Hell I still don't know what the whole island looks like, because in the original version, you knew where everything was.. The place was one big easily drivable island.. But this just had me following a path cluelessly, flying off jumps, into dark caverns deep inside the island while I'm getting shot at.... EPIC. AoTC... Pretty much the same. Grizzly Tank is inaccurate as hell. I was sitting waiting for the new sections, only to find out it was at the near end of the mission. The first expansive new areas was kind of interesting, but a little lackluster... But the next one was simply epic... Shame my poor system had the framerate at like 10... Loved the idea of fighting up the mountain and thus to the whatever you call it (control room spire)... I liked this setup, because it actually forced you to fight your way up the structure, whereas in the Vanilla version, it was race to the banshee and fly to the end of the mission. I'm interested to see what will be done with the 2nd half of the campaign. TSCE was by far the highlight. Any other Halo projects on this forum? My favorite thing by far was the Silent Cartographer Evolved mission, which I know wasn't made by CMT. But nonetheless, fun! Really did enjoy the new imagination of the level! Hello everybody. I have been given EXCLUSIVE access to this amazing mod. Check out my review: https://www.youtube.com/watch?v=jj0J0BMJZWQ. Love them all though. The GOAT Console shooter. At it's purest, the perfect blend and cohesion of movement speed, TTK, weapons and balance, AI quality/diversity/strength and level design. What's up with community, yo. Yo fellas. Just woke up from a 14 year coma. The technological advancements are still unbelievable and shocking. The world has passed me by.. The gaming world has passed me by. But you know me. I'm all about that Halo CE action. So here I am. Time: Fri April 19, 2019 3:31 AM 204 ms.